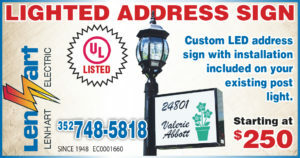 A Custom LED Lighted Post Sign For Your Home is Now Available! 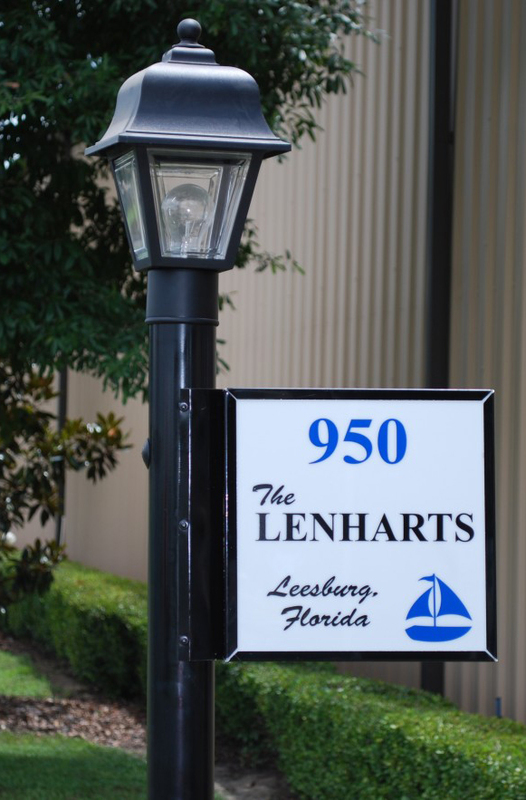 Call Lenhart Electric to have your custom Lighted Post Sign installed today. Bright, energy efficient LED signs make it easier for emergency vehicles to locate your home, as well as family and friends. 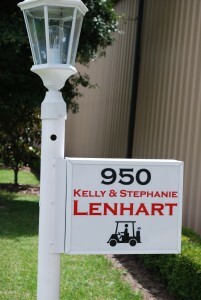 Lighted Signs make a beautiful addition to any yard, your sign can be customized with a graphic as well as your address. Please scroll down to see graphic options. 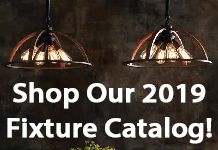 In addition, an order form is included on this page for your convenience. 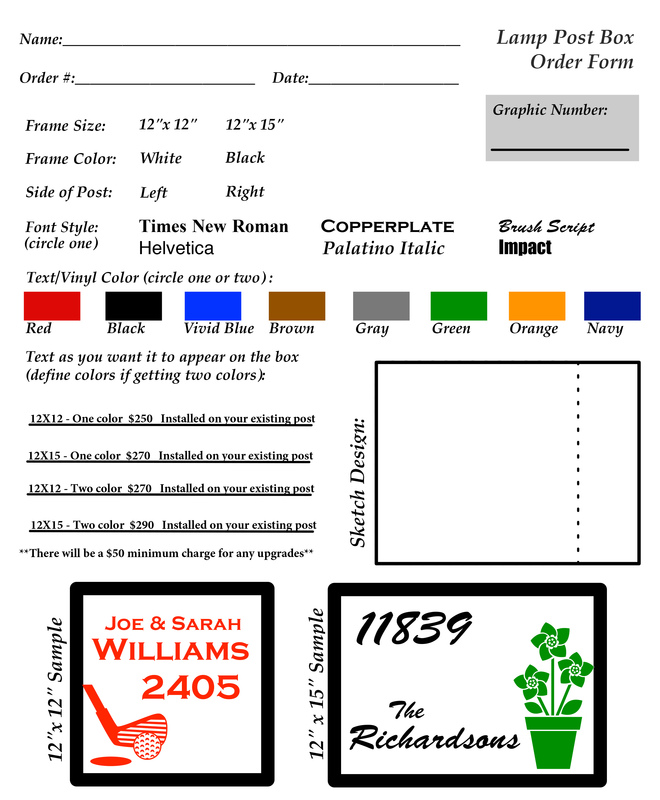 Click the Lamp Post Box Order Form below to open in a new window and print. Please, do not hesitate to call our office at 352-748-5818 with any questions you may have about this form, or about placing your order. Graphics make great additions to your custom sign. From basketballs to ladybugs, anchors to feline friends to pineapples, make a statement with your favorite graphic. Therefore, with our LED light shining brightly behind it, it is sure to add personality to your landscaping. 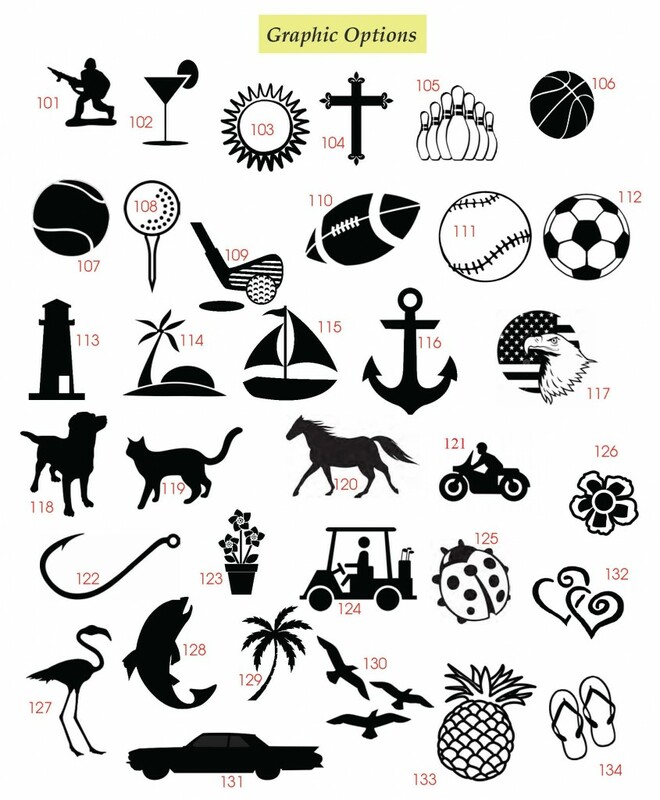 Choose your favorite from the many designs we have immediately available, or call us to design your own! 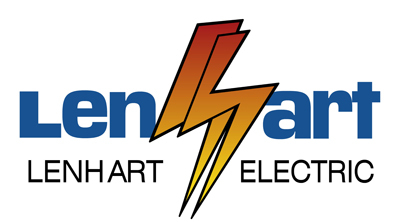 Don’t wait, call us today!